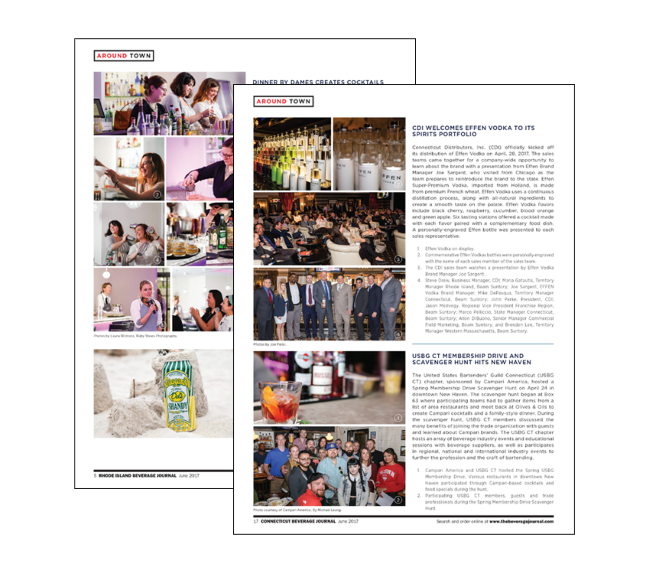 Reaching more than 5,000 beverage trade professionals across Connecticut and Rhode Island, our publications offer a wide range of opportunities to market your brands. Target each state or both. Access your direct buying audience: 93% of subscribers get The Beverage Journal for industry news and new product information. We offer the market’s most comprehensive local news, and product access resources, reaching thousands of local tradespeople. 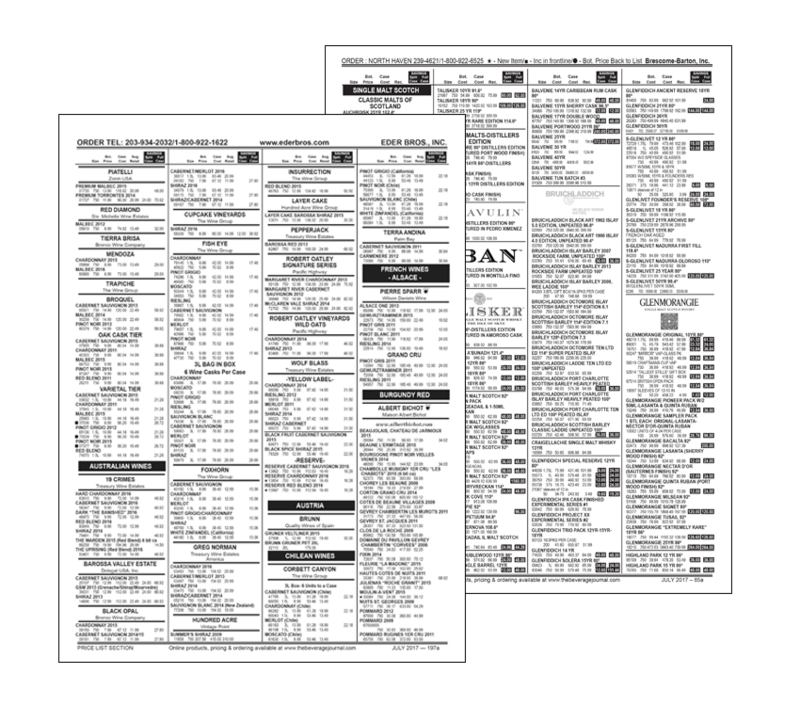 Print and online ads get your products and services in front of your trade purchasing audience, both on- and off-premise. Our coverage of local launches and events, new products, innovative services and industry people crosses over into our growing online community, enabling many opportunities to maximize your exposure; in print and online. 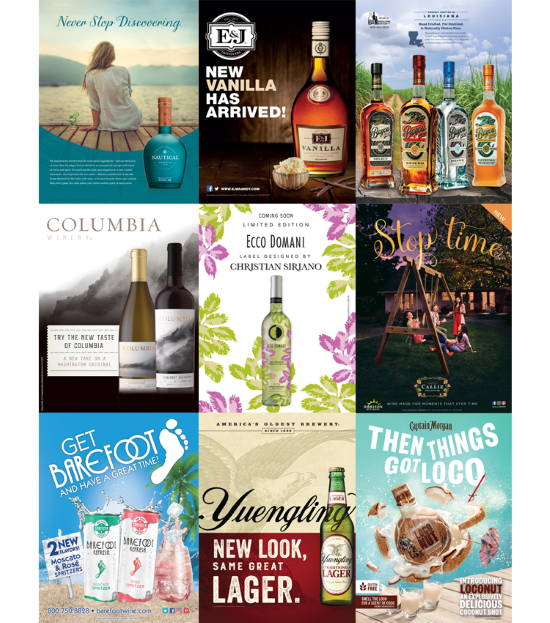 Our monthly feature articles focus on national and local beverage alcohol and trend news, including people, products, promotions and merchandising. Each publication provides licensees with news, resources and reporting that reflects the local markets. Comprehensive local news includes local trade associations reporting and columns, upcoming events, and legal and legislative issues affecting the markets. The publications offer the largest compilation of beverage alcohol brand and pricing information for liquors, wines and beers. The Brand Index and Price Index pages guide licensees from the brand listings to each distributor’s price list section. Tell your story to the trade in print and online. Promote local tastings, launch events and trade happenings. The “Around Town” post-event coverage section serves as a great way to keep the buzz going after your event and to share highlights and photos with the market. Our Events Calendar serves as a go-to source for members of the trade to keep up-to-date on the local market events. Our Search & Order platform offers the most comprehensive online search technology available in the market today. Get faster, easier access to more product information and real-time pricing data than ever before. Ask us how your supplier and brand reps can maximize access. 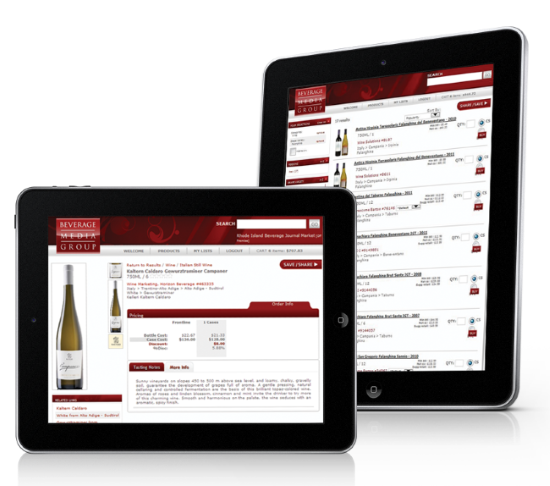 The BevJournal iOS app is designed for retailers, bar managers, sommeliers, restaurateurs, suppliers and distributors in the beverage alcohol trade. Search brand and price information and get market insight when you need it. Licensees use it to place orders with distributors, directly. Suppliers and distributor sales reps can search brand and price information and generate Instant Sell Sheets for their trade customers. 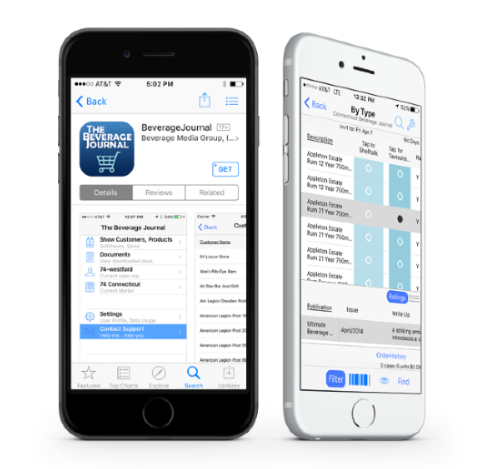 Search BeverageJournal in the iTunes App store. The iOS app is currently available for the NY and NJ markets, too. Present your portfolio and have a full product and pricing lists on hand while visiting accounts. Create a dynamic and comprehensive booklet for your sales teams and your distributor’s sales teams to help differentiate your offerings from the competition. Printing services are available to create price books for your sales representatives that assist with monthly sales to on- and off-premise accounts. Customized to your needs, books can be produced at every price and quantity level. Electronic PDF pricing files can also be provided on a monthly basis. Compare your brand and pricing information with those of similar brands and/or categories in key markets. Using our database, reports are tailor-made to each supplier’s specifications and can be provided for your products and a group of competitive products of your choice. Reports may be generated monthly with a minimum 12-month commitment. For rates and details, please email info@bevmedia.com.